Breakfast is my battle cry. In my view, this is the most important meal of the day. So, when Enrico has no time to whip up his famous made-from-scratch waffles, or his mean chilaquiles verdes, I immediately look for an on-the-go alternative that will help me face whatever the world might have in store for me. I need something tasty for inspiration, and definitely protein for power. I was so excited to hear that LALA Yogurt Smoothies had arrived in the US. The concept of drinking something packed with healthy and yummy goodness has always made me think of the licuados my mom used to make for us before school, plus, LALA is already a brand that I know and love. I definitely had to jump at the opportunity to try them. This is what showed up at my door! I recently had the perfect opportunity to put LALA Yogurt Smoothies to the “taste”- I had them handy while organizing our recent Noche Mexicana. I was in crazy(er) mode for a few days, and needed a ready-to-go healthy option way beyond the ubiquitous coffee and pastry that would only offer a boost with empty calories. I went through three of the flavors in a wide available assortment: Strawberry, Strawberry Banana and Tropical Mango. With real fruit, calcium and protein, getting your vitamins A & D never tasted so good! I even had one as a snack. Now, if I could only get some bottled sleep to go too! 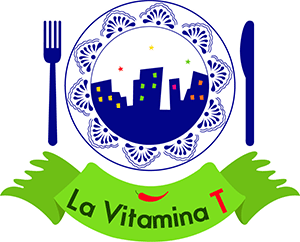 This is a sponsored conversation written by La Vitamina T on behalf of LALA Yogurt Smooothies. The opinions and text are all mine.